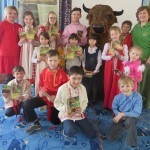 Prioksko-Terrasny Reserve > News > Reserve news > Spring come! 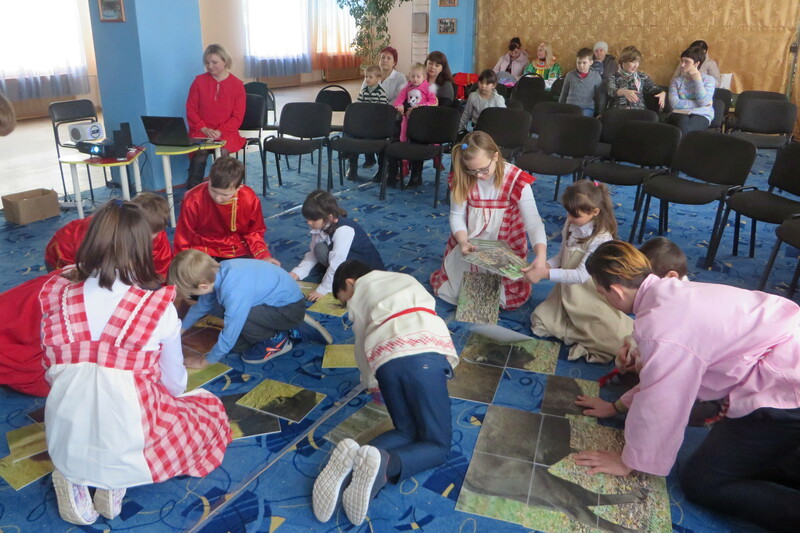 On Friday, March 22, employees of the Prioksko-Terrasny Reserve arrived with an educational program at the Serpukhov social rehabilitation center for minors. 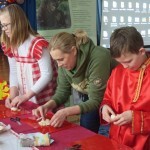 The trip was timed to the Day of the Earth and the vernal equinox, which came on March 20 this year. 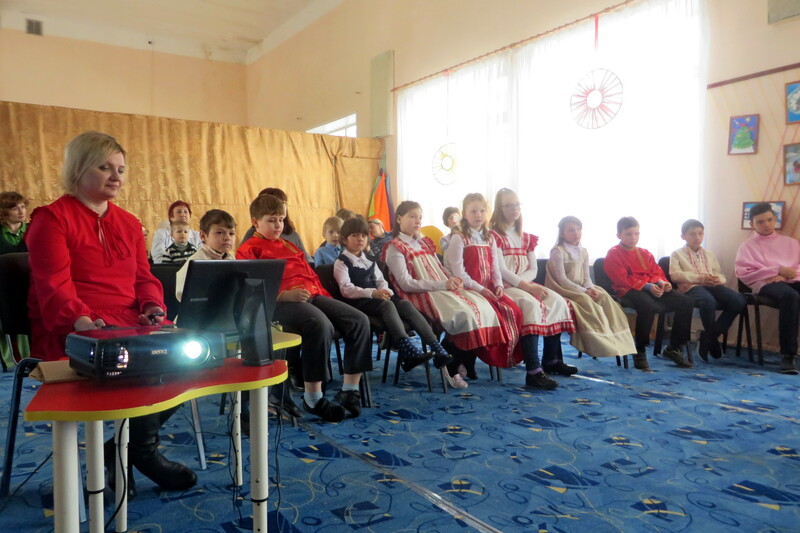 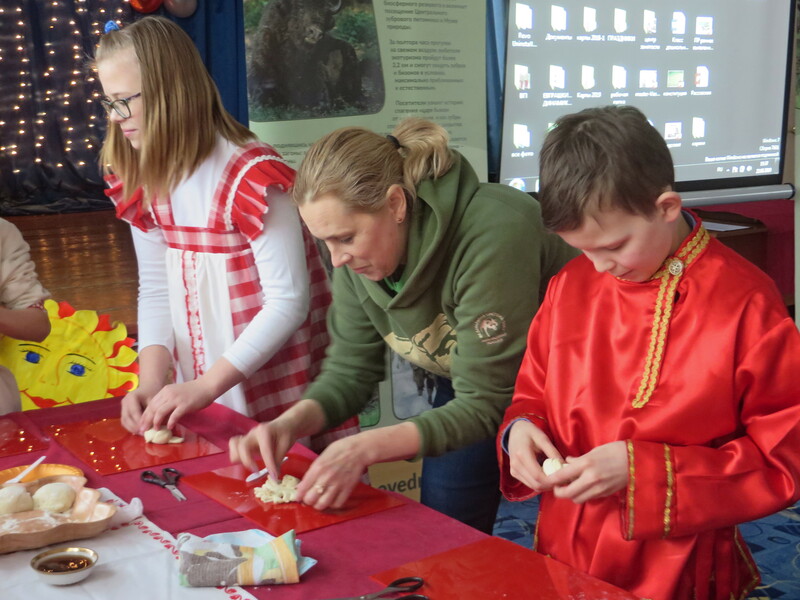 The children also prepared for the event — all were dressed in Russian national costumes. 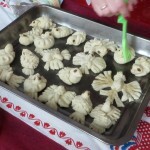 In the recent past, especially in rural areas, they first called for the arrival of spring — they baked “larks” from the dough. 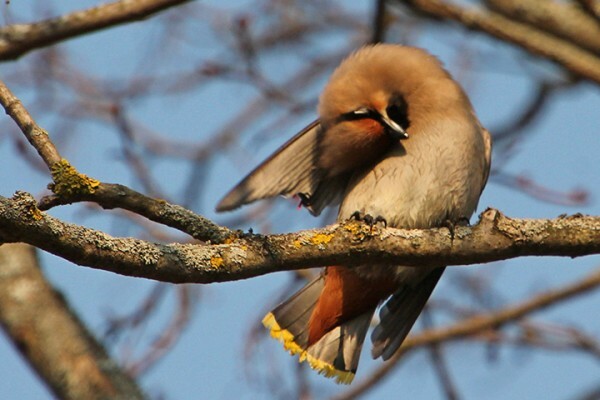 It was believed that this bird brings us spring on its wings. 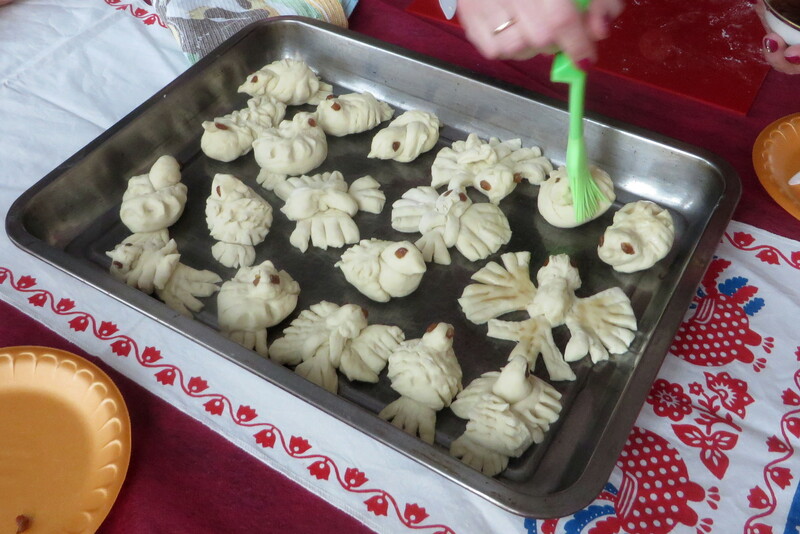 Usually, children climbed high from the ground — on the stairs, on the fences and lowered the baked larks to the ground, then raised and ate them. 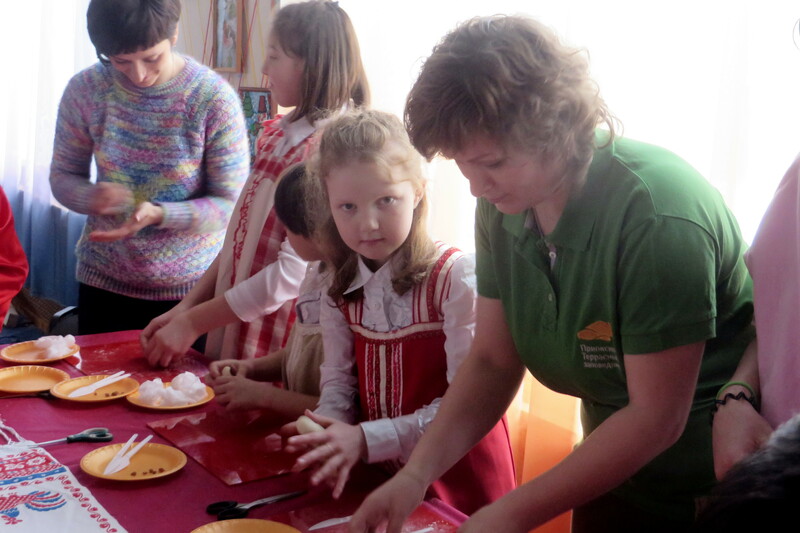 The children from the Rehabilitation Center, together with our employees, made larks of dough, baked them and then, holding them in their hands, performed a spring dance. 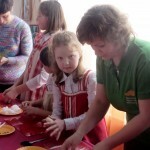 Then came the time of our environmental program. 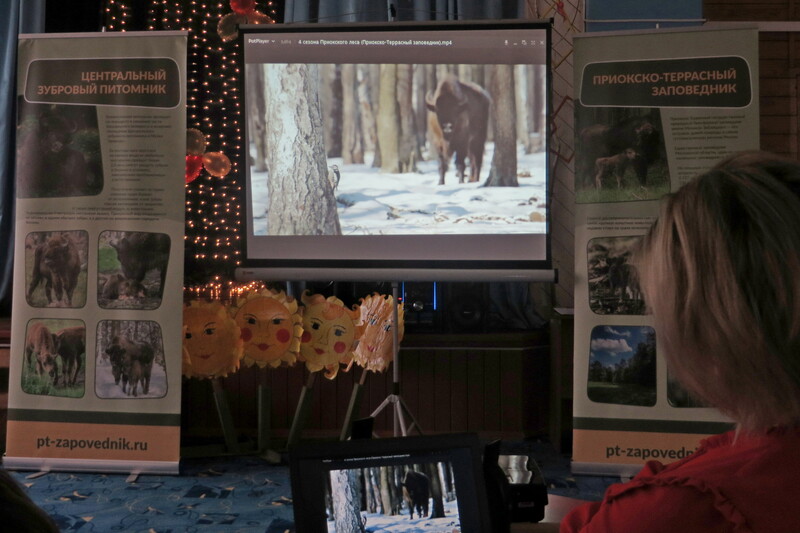 The guys watched a documentary about the reserve “4 Seasons of the Prioksky Forest”. 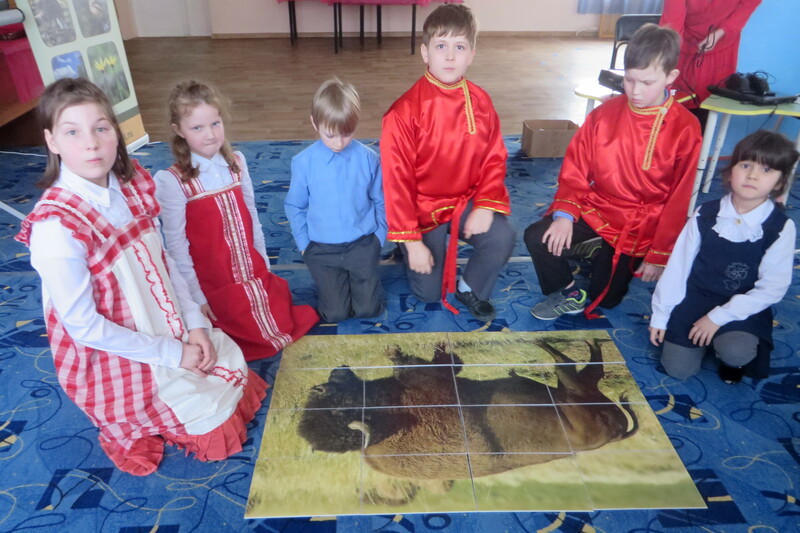 Large floor puzzles depicting bison and bison were assembled and disassembled several times. 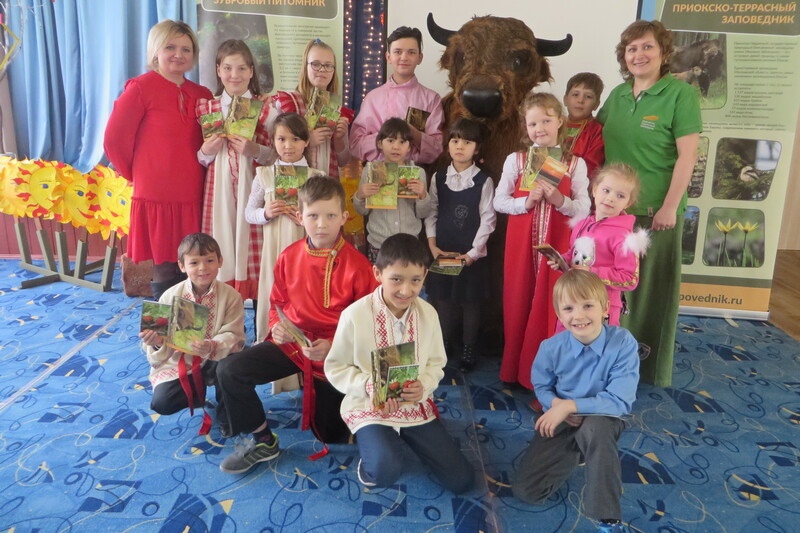 From our reserve, all participants received memorable gifts, and the children pleased us with beautiful dances, which they do at a very high level. 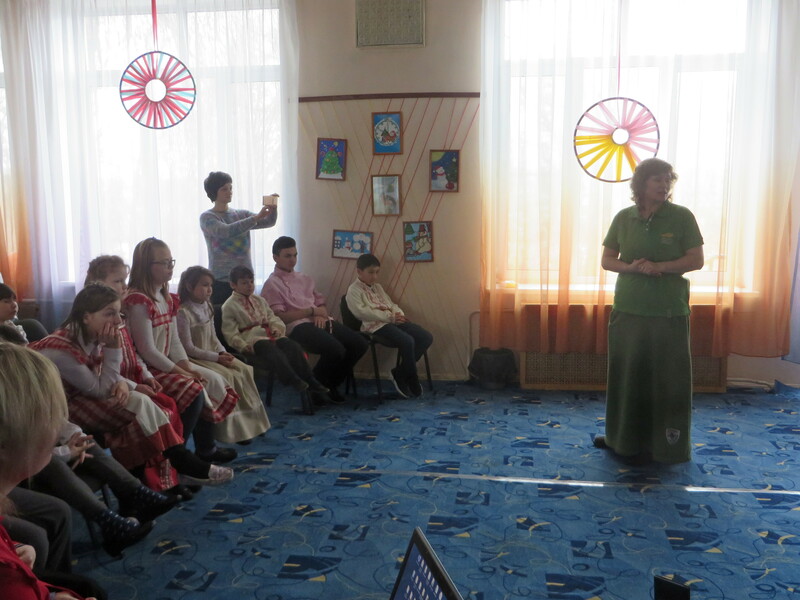 That was our first acquaintance with the “Serpukhov District Social and Rehabilitation Center for Minors”. 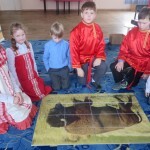 This meeting is not the last, soon we are waiting for a return visit, and already on March 27, the students of the Center will come to the reserve for an excursion to the Central Bison Nursery. 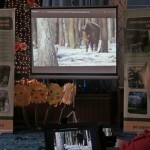 © FSBI “Prioksko-Terrasny State Nature Biosphere Reserve.” All rights to materials published on the site reserved in accordance with Russian and international copyright laws.